The Kalahari (and life in general) gives us a thousand-and-one excuses reasons not to run. But get out there and run anyway. I found that, in my case, overthinking the situation led to less running, more frustration and, ultimately, a seriously depressed mama. Get out the door and run. After about a month-and-a-half on the farm, it finally dawned on me that trudging through the thick sand with a double stroller and two squabbling toddlers was, in fact, not the only running option. I noted the quieter times of the hunting lodge (hunters go out at 15:30 in the afternoon and cleaning staff leave at 17:00, before the hunters return from the veld at about 18:00), giving me a glorious hour or so to turn the 300 m loop around the hunting camp into a running track without having to face too many confused stares. The setup is such that I can more or less keep an eye on the kids playing on the swings from anywhere on the loop, allowing me some glorious (albeit monotonous) solo run time. I left Kimberley in pretty good (for me) running shape, clocking the best club time trial times of my life. After arriving in the Kalahari, though, I quickly realised that maintaining or building running speed was not going to be an option. The Kalahari is all about strength and running maintenance - speed and distance will have to wait. And, as frustrating as that may be, I had have to make peace with it. Double stroller Kalahari runs are tough: Even short runs of 2.5 km leave your quads aching, your lungs burning and your mind filled with all kinds of improper thoughts. 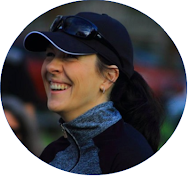 I soon realised that even running only every second day just didn't give my body enough time to recover in between runs: My quads were shot just a few steps into each run, and my Achilles tendons got really grumpy about running in deep sand all the time. The solution? Enough rest. And rest for Mama too. 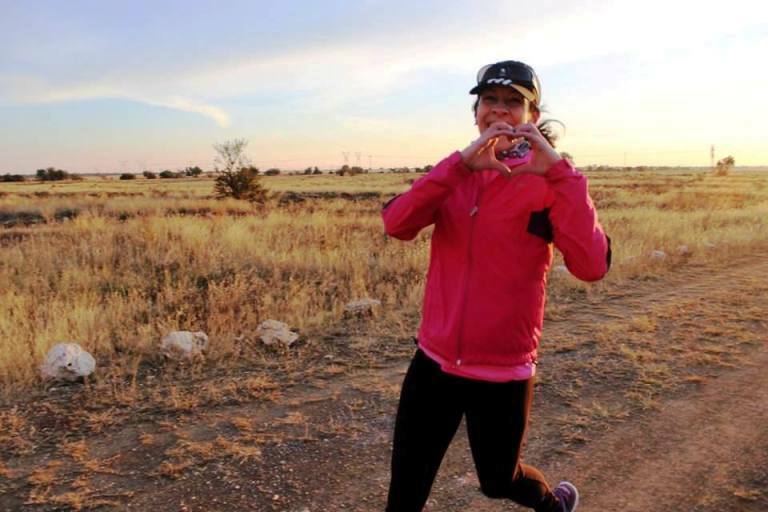 The Kalahari might not be a runner's paradise, but it sure has a lot to offer. The kids are in love with its freedom and wide open spaces, and have had farming adventures galore. Plus the memories they're building with Grandpa and Grandma are priceless - a few bad runs pale in comparison, right...? Dankie, Cat. Jip, nie altyd maklik of wat 'n mens wil hoor nie, maar dikwels waar.